Canned pumpkin was in my pantry ..3 cans (there must have been a sale)! 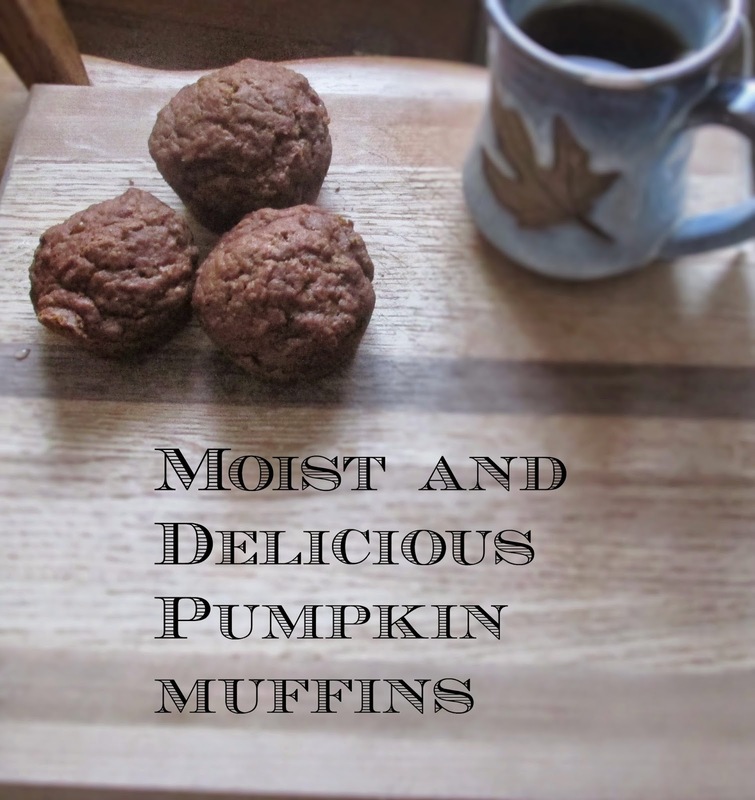 So I decided these Moist and Delicious Pumpkin Muffins were in order for breakfast. The smell of pumpkin and cinnamon made the house smell so good! It helped to warm up the house too on the blustery cold January day in Michigan (-12 this morning). In large bowl mix the dry ingredients. In a smaller bowl beat eggs, oil, pumpkin and water until mixed. Mix the wet ingredients with the flour mixture and stir just until moistened. Spoon batter into a muffin pan. Bake for 20 to 25 minutes or until done. This will make 12 to 18 muffins -depending on how big you like them. You can view my list of Blog parties and Blog Hops I link to here.